Wu Guanzhen is an up-and-coming Chinese artist who uses the ancient technique of lacquering to create works that combine traditional craftsmanship with a contemporary interpretation. Wu Guanzhen is an up-and-coming Chinese artist who uses the ancient technique of lacquering to create works that combine traditional craftsmanship with a contemporary interpretation. The first stop for his exhibition tour is the Beijing Today Art Museum. 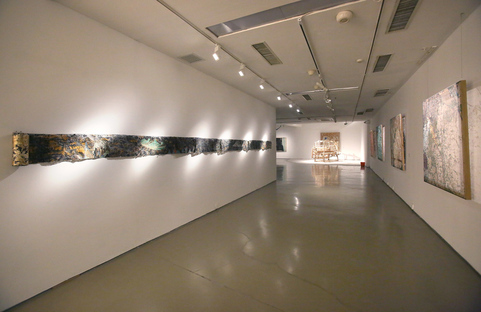 The Today Art Museum (TAM) was founded in 2002 as the first museum in Beijing dedicated to contemporary art. As a not-for-profit, non-governmental art museum in China, TAM focuses on driving Chinese contemporary art into the future and places great importance on discovering and supporting young artists of the community. It is located in the PINGOD residential complex, in an industrial architecture redeveloped by the architect Wang Hui. Indeed, the museum exhibition area is more than 2500 square metres inside a building that makes the most of the large halls to best showcase contemporary art. It was actually created with the specific idea that refurbishing and converting old buildings is another way of protecting the original features of the city. A revamp that adds a new function and meaning to the urban backdrop - in this case, the flourishing central business district of Beijing. The TAM is now considered to be one of the key platforms for contemporary art in Beijing and plays a crucial role within the local community of artists as well as more generally across China. 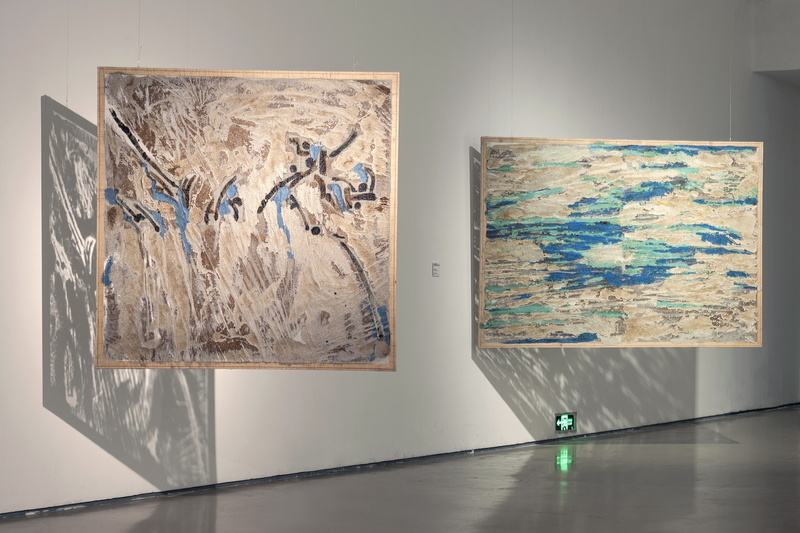 One of these artists is Wu Guanzhen who is displaying his works at the TAM as part of the exhibition that is named after the artist himself, Wu Guanzhen. 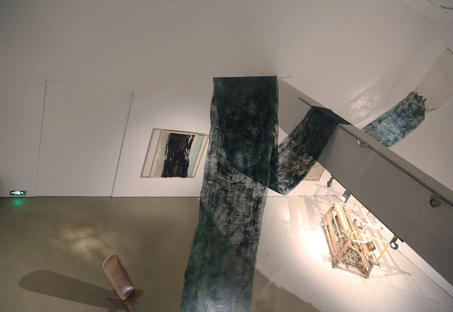 The exhibition's five series of works - Weaving Recall, Dunhuang Scroll, Mountain Plan, Daydreaming Land and Microscopic Nature - bear witness to his attentive interpretation of traditional artisanal techniques and materials like lacquer and ramie, one of the oldest plant fibres used by humans, which he proposes in a brand new, completely offbeat way. 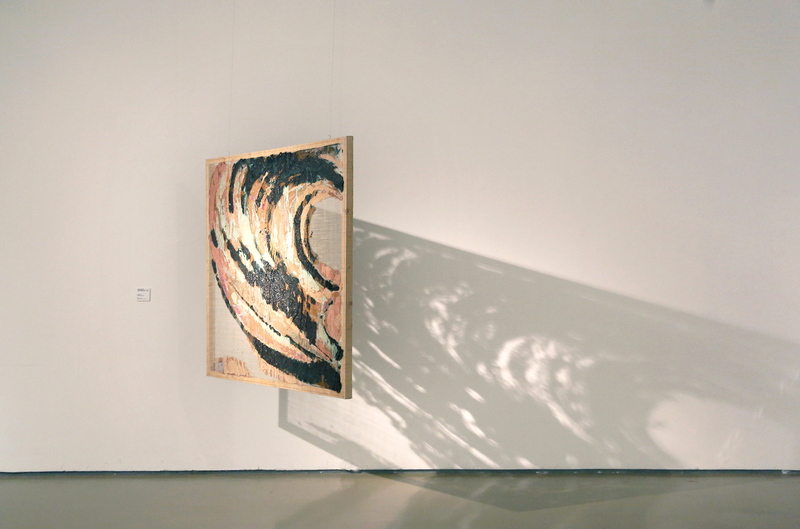 Because, according to Wu, you can't distinguish the natural transparency of lacquer when it is applied to a wooden panel, so he has come up with a new kind of execution, which enables the viewer of the artwork to perceive this lightness and the modulation of light thanks to the technique he uses in his art. He applies lacquer to sheets of ramie to create semi-transparent surfaces caused by refraction and the ever-changing plays of light, adding a new dimension to the handcraftsmanship of lacquering that has a thousand-year history. This artistic and spiritual research is underscored by the architecture of the old industrial building. 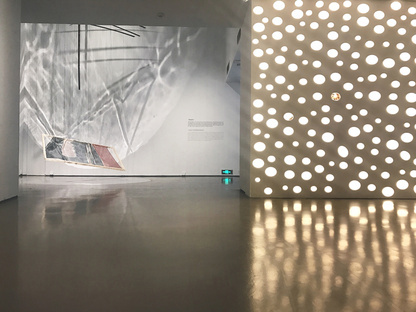 Different light sources are used in the various exhibition rooms so Wu's artworks offer visitors a changing and at the same time harmonious, subtle and tangible experience. The journey through the art of Chinese lacquering turns into a juxtaposition with the material nature of light, where the vibrations created by this layer add a new layer to our perceived reality, reminiscent of the age-old Chinese artisan and artistic tradition, without the need to use digital devices to spark our emotions.